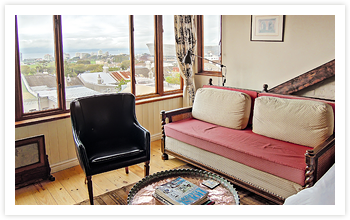 Centrally located in Green Point Village on the North facing slope of Signal Hill and close to the centre of Cape Town, Braeside House has two comfortable, fully renovated self-catering apartments ideally located for leisure or business. Whilst very different in size and style, the fully furnished and equipped luxury apartments can each sleep up to 4 guests with a flexible configuration. With a common entrance lobby, they can also be easily combined to accommodate parties of up to 8 guests. Situated on the first and second floors, we are well secured for your peace of mind. 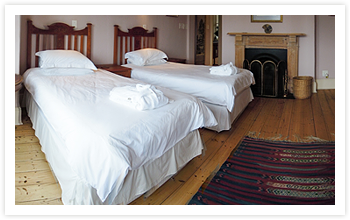 The location is an ideal base from which to explore the many attractions of Cape Town and its surrounds. With all modern conveniences incorporated in a traditional Victorian house, your stay will be one of easy comfort and enjoyment. Self-catering accommodation with this much charm and style is rare.